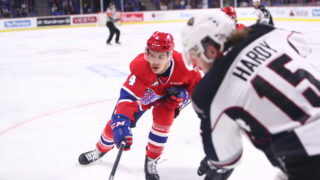 Another member of the WHL’s coaching ranks has been entrusted by Hockey Canada to guide their pursuit of international gold once again. Former Spokane Chiefs head coach Bill Peters has been tasked with getting Canada to the top of the podium this spring at the 2018 IIHF World Championship as the team’s head coach. Joining Peters on the bench are assistants Mike Yeo and Bob Boughner. Peters presently serves as the head coach of the Carolina Hurricanes in the National Hockey League. The tournament is scheduled for May 4-20 in Copenhagen and Herning, Denmark. 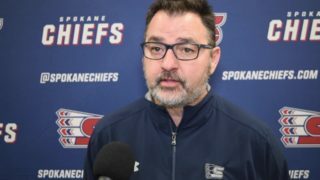 A product of Three Hills, Alta., Peters’ coaching career began as an assistant with the Chiefs in the 1996-97 season and continued until the 2001-02 season. 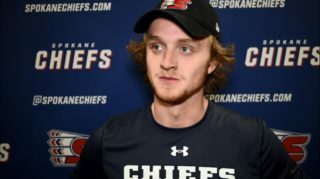 After spending a season in the Canada West ranks with the University of Lethbridge Pronghorns, Peters returned to the Chiefs organization, this time as their head coach. Peters would coach the team for three seasons, culminating in the team capturing the 2008 Ed Chynoweth Cup and Mastercard Memorial Cup. In the 2005-06 season, the Chiefs went 25-39-5-3, followed by a 36-28-4-4 record in the 2006-07 season, a 22-point improvement. The crowning moment would come in his third and final season with the club though as he guided the club to a 50-15-1-6 record, good enough for 107 points and second place in the U.S. Division. 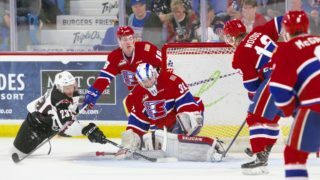 The Chiefs proceeded to go on a strong run in the 2008 WHL Playoffs, posting a 16-5 record and outscoring their opponents 61-32 in the 21 games. 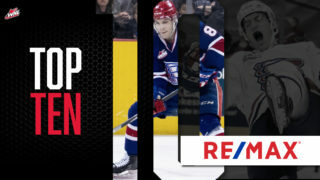 At the 2008 Mastercard Memorial Cup, the team went undefeated, winning the final 4-1 against the Kitchener Rangers. 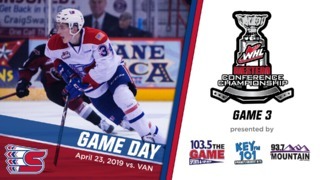 It was the second time in the team’s history they had captured both the Ed Chynoweth Cup and Mastercard Memorial Cup in the same season, doing so in the 1990-91 season as well. The coaching staff was selected by members of the management group announced in late March; co-general managers Sean Burke (Windsor, Ont./Montreal, NHL) and Martin Brodeur (Montreal/St. Louis, NHL) along with Scott Salmond (Creston, B.C. ), vice-president of hockey operations and national teams with Hockey Canada. “Canada has always managed to bring together elite-level coaches and players and we’re again fortunate to be led by an experienced coaching staff for this year’s world championship,” said Burke. “This is an exciting event and we look forward to representing Canada on the international stage with the goal of bringing home a gold medal next month,” added Brodeur. Canada opens the 2018 IIHF World Championship on Friday, May 4 against the United States in Herning, Denmark. Preliminary-round games wrap up on May 15 and during that time, Canada will also face off against the host Danes, Finland, Germany, South Korea, Latvia and Norway. The bronze- and gold-medal games will take place on Sunday, May 20. TSN and RDS, Hockey Canada’s official broadcast partners will carry 64 and 31 games, respectively. TSN Radio will also broadcast all of Canada’s games; check your local listings for schedule and network details. For more information on Canada’s National Men’s Team, please visit HockeyCanada.ca or follow along on Facebook and Twitter.